K7 Total Security 13.1 product has earned the latest VB100 award for the Windows XP SP3 platform. 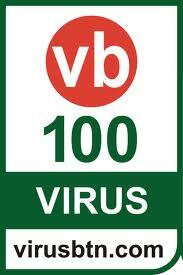 We are pleased to say that we have passed yet another VB-100 award. Constant research and development for K7 antivirus products are gaining on recognition among the professionals and end -users. Latest K7 Total Security in a version 13.1 reached higher positioning among the previous testing results. K7 have made big improvements in proactive and reactive detection rates for antivirus protection. The Virus Bulletin organisation has praised the new look and feel of K7 Total Security. K7 Total Security is rated as ‘Solid’ which is the best rating for product stability.